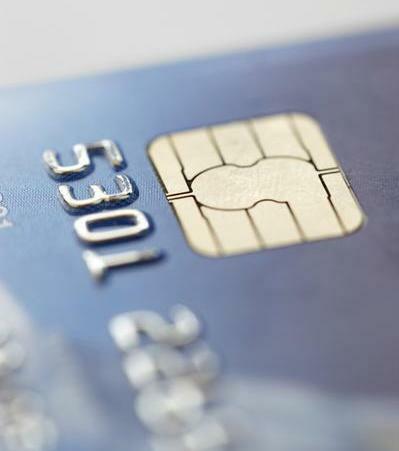 Today many of your credit cards have a small chip called a RFID chip inside of the card. You may or may not be able to clearly see the chip in the card. RFID stands for Radio Frequency Identification and this chip is what allows you to just tap your card up against the card machine at Starbucks instead of swiping it. Sad thing is that thieves can very easy bump up against your wallet or purse with a custom build inexpensive machine and also “get the broadcast” of your card number, expiration date, etc. Here is a news special report that expands on this. You have two ways you can protect yourself from this risk. First, you can request your bank and credit card provider to not issue you a card with a RFID chip inside. Almost half of debit and credit cards have them today and the number is expected to increase. Your second option to protect yourself is to purchase a RFID blocking wallet. Often referred to as Faraday wallets (link to Amazon.com), these wallets (along with other Faraday products) block any signals from being sent or received and thus protect your information from this type of “skimming” technique used by thieves. (Faraday Card Sleeve). You have learned about the concept of EMP from the movies. An advanced type of technology that could be used as a weapon to disable and destroy anything with an electric circuit that is powered on. EMP can also occur naturally through lightning for example. Faraday cages, bags, and boxes (also named for Michael Faraday like the wallets discussed above) are an entrapment that will protect a laptop, cell phone, or any other electronic device from being hit or effected by a EMP. They also would protect any cyber thieves from being able to access the device wirelessly. These have become popular in government circles and other large corporations where data has to be secure and protected from any sort of cyber attack. There is an easy way to disable the RFID chip inside a plastic card. Just put the card on a hard surface and hit the area on the card with a hammer. RFID chips are made of silicon and as brittle as glass. All it takes is one small fracture of the chip internally and it will stop working. Elevate the far end of the card a little to force a slight bend when hit with the hammer and the internal silicon chip will fracture rendering it useless. If a microchip is inside of a person and a emp goes off will it harm the person fitted with the device? It will stop the function of that chip if at the time of the EMP the chip had electrical current. Outside of that it wouldn’t directly harm the person but indirectly it would if the purpose of that chip is to run a pacemaker or perform some other life sustaining function. If one can’t answer directly then what parts do you need and how to construct EMP safely?